Outlier is offering a new version of its Futureworks pants with a more tapered cut called Futuretapers. The pant is relaxed yet slim, but not skinny. At the center of the design is their 200gsm F.Cloth fabric that combines nylon with a touch of elastane that delivers two-watch stretch while also being lightweight, breathable, and lightly water-resistant. 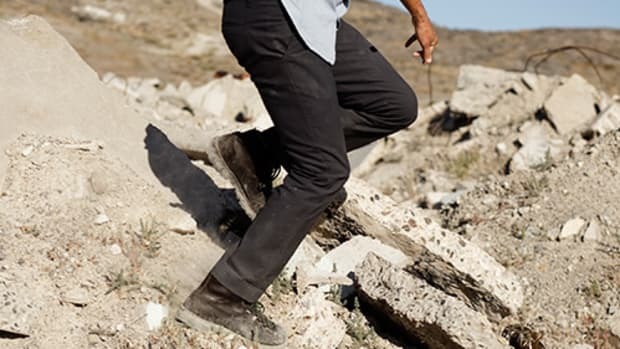 What makes the pants really special is the combination of stretch with their knee length gusseted construction that gives you a range of motion unlike anything else out there.